Imagine if a large meteor was on a collision course with planet, Armageddon style. If you skip the Bruce Willis-led heroics and that catchy Steven Tyler song, what do you think the general public would do if such a news revelation came to light? 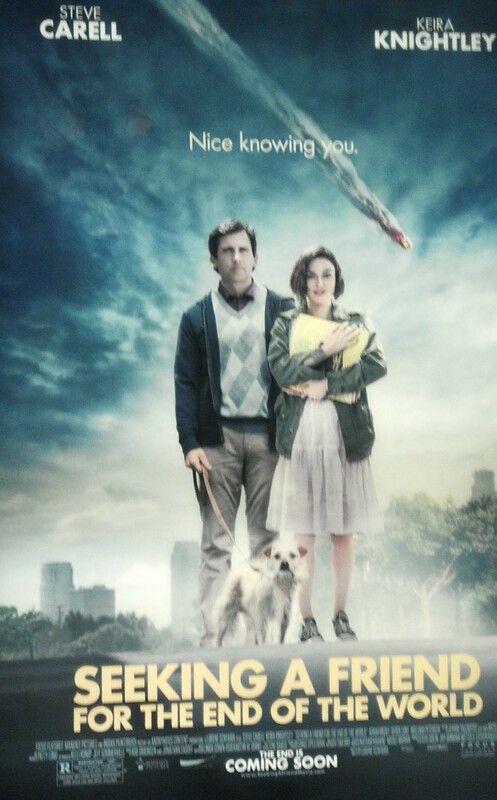 Director/writer Lolene Scafaria gives us a look at what it could look like in the new film, Seeking a Friend for the End of the World. Seeking a Friend for the End of the World is an overall well handled story & does a great job of treating the end of the world circumstance. There are a wide variety of coping mechanisms that are exhibited by each character, whether they are main, supporting, guest, or background characters. This allows for the story to seem believable and opens the door for some hilarious consequences. In contrast to a movie like Armageddon where the emphasis would be on how this would be stopped, this movie takes a look at how the average civilian would handle the news of a meteor speeding towards Earth. The performances were really enjoyable. Steve Carell and Keira Knightley did well in playing their respective roles. At first glance, some would wonder why anyone would put Carell & Knightley together in a movie. However, the chemistry between the two throughout the film felt really organic & is a credit to their talent. The film also features great performances from a wide variety of talent such as Rob Corddry, Connie Britton, & T.J Miller, which really add to the story. The movie has a couple of minor plot holes & does have an episode of M.I.S., which is Movie Identity Syndrome. The movie tone switches unexpectedly to where you can almost see the line between 2 completely different movies.